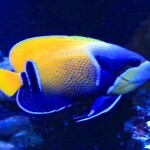 I have received many questions about which type of plumbing pipe and fittings would work best on a aquarium set-up. 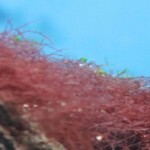 This article is meant to provide a little more detailed information to supplement the already posted Aquarium Plumbing Article here for those people who would like more detailed information on the commonly used tubing, pipe, and fittings used on sumped marine aquariums. There are many different types of tubing, pipes, and fittings used in the hobby today.In this article I am only covering the most common types of products used.All the data listed below going to be fairly accurate, but you should assume there is a 10% variance (plus or minus) as many different variables can effect product performance making it very hard to develop a hard fast rule that applies in very situation. Use the below data a guidelines. In additional, products made outside North America may not have been manufactured up to ASTM (American Society for Testing and Materials)or CSA (Canadian Standards Association) standards making those product specifications hard to determine.That is why I always prefer to ensure the plumbing products that I purchase are manufactured to either ASTM or CSA standards to ensure the specifications will be consistent. The below listed specifications are based on the pipe of the material type as the fittings designed to be used with each type of pipe will have slightly higher tolerances as compared with the pipe. In addition,the colors listed are the most common ones, but this can vary in Provence to Provence and State to State based on local building codes.Always read the printing on the pipe and information stamped on to the fittings to verify the type of material you have. 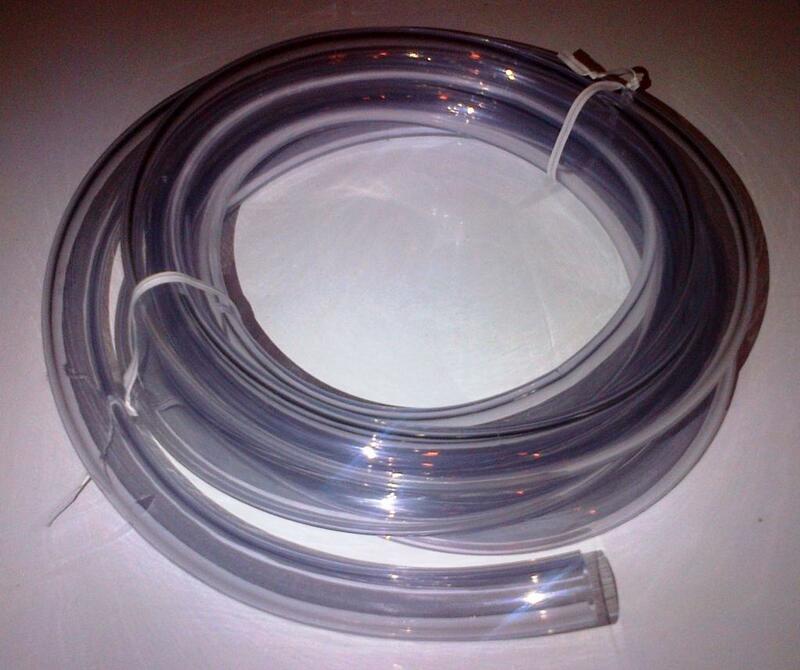 This is a clear and flexible plastic looking tube that is used in more of a general purpose application. It is very common to find in most hardware and plumbing supply stores.In the aquarium hobby, it is a very affordable option for low pressure and low temperature applications such as a supply and return line for a media reactor, or a low GHP return pump line. The below charts shows the specifications for clear PVC tubing. 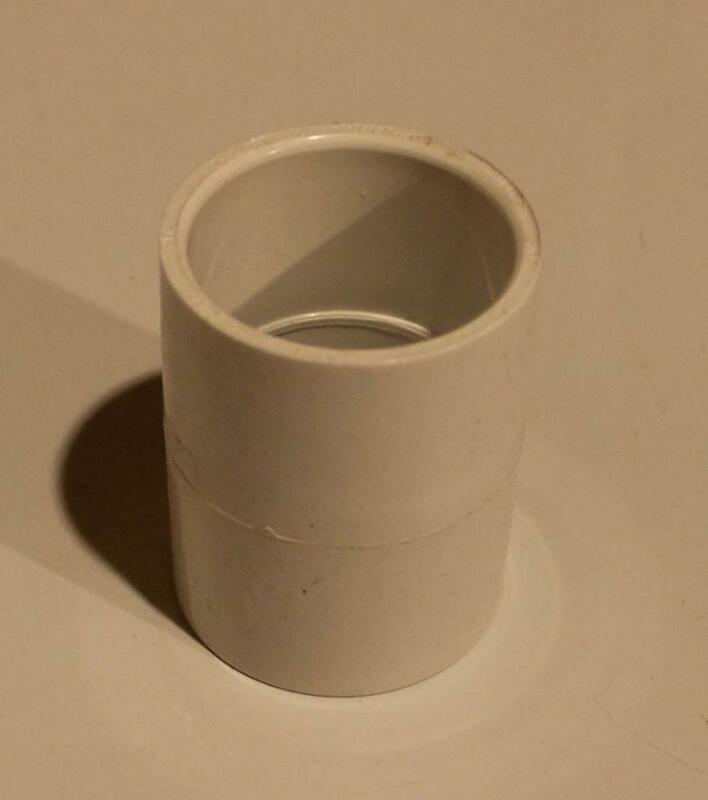 This is a black ridge tube.It is most commonly used as drainage lines in many single family residential home in North America.>It is very common to find in hardware stores and plumbing supply stores. In the aquarium hobby, it is best suited to be used on drain lines from a main tank to a sump where there are higher flow rates at lower temperatures and lower pressures involved.This typically includes drain lines were the GHP is less than 1,500 to 1,800 GHP. The below chart shows some of the specifications for ABS pipe. As an alternative to ABS, you can also use PVC DWV.This product is also used in the drainage systems for commercial and residential construction were there will be higher heat levels with minimal pressure. 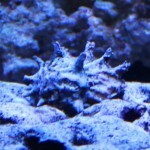 It is more commonly found in a littler gray color. PVC DWV will be a lot more expensive as compared to ABS and you will mostly find these products for sale in plumbing supply stores. It has very similar properties as ABS but is designed to be able to withstand higher heat levels.PVC DWV is also best suited for the same type of aquarium drain lines as ABS. The below chart will show you some of the specifications for PVC DWV pipe. 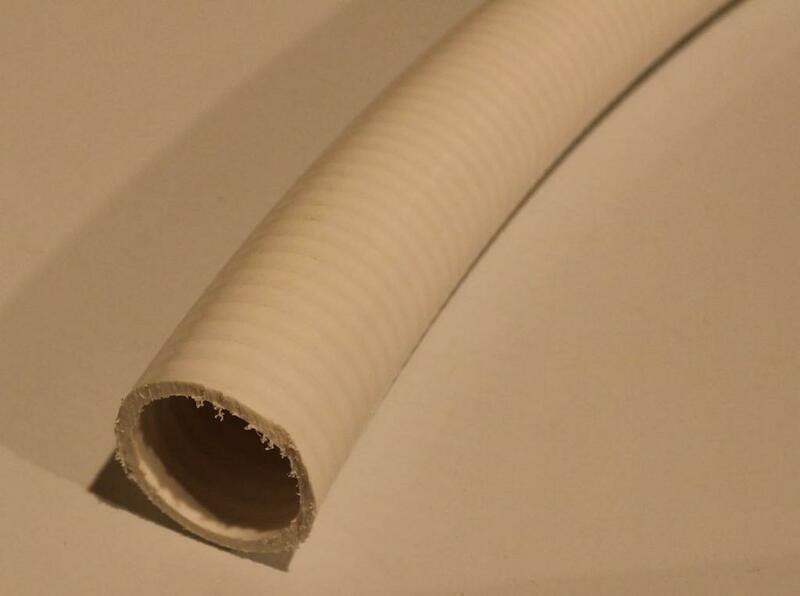 This is a flexible and re-enforced PVC tubing product.It is most commonly white in color but is also made in a few other colors like gray and black.The most common application for this is for the re circulation lines on hot tubs and jetted tubs.In the aquarium hobby, you will find this product typically used on drain lines from the main tank to a sump were you need a little bit of flexibility to avoid used a rigid pipe and fitting to help reduce a loss of flow.The smaller diameters (one inch and below) can also be used on return lines were the GPH will not exceed 1,500.Flexible PVC hose is also best used for low temperature applications.This would be my preferred product for moderate flow applications. 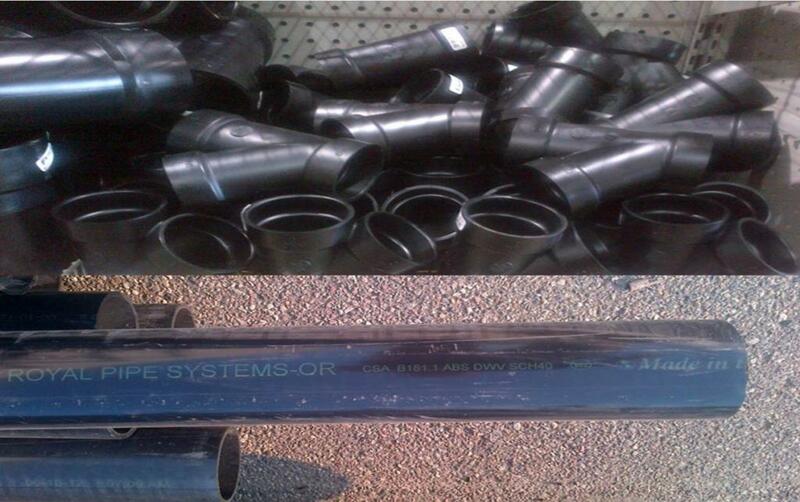 Flexible PVC tubing is designed to be used with standard (Sch 40) PVC fittings and glue. 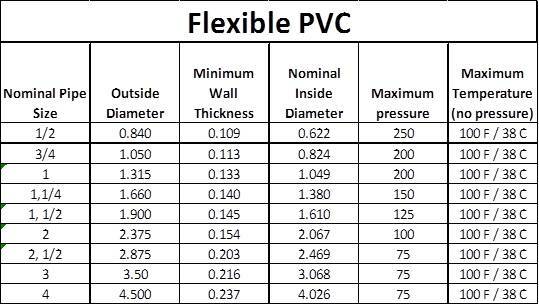 You will find some of the specifications for flexible PVC in the below chart. 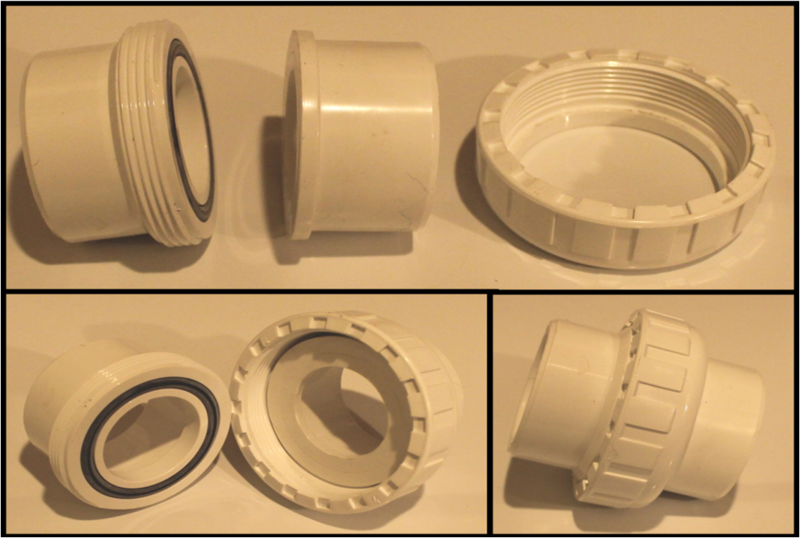 PVC is commonly used for residential and commercial water supply and water drainage applications with low to moderate heat and moderate pressures. 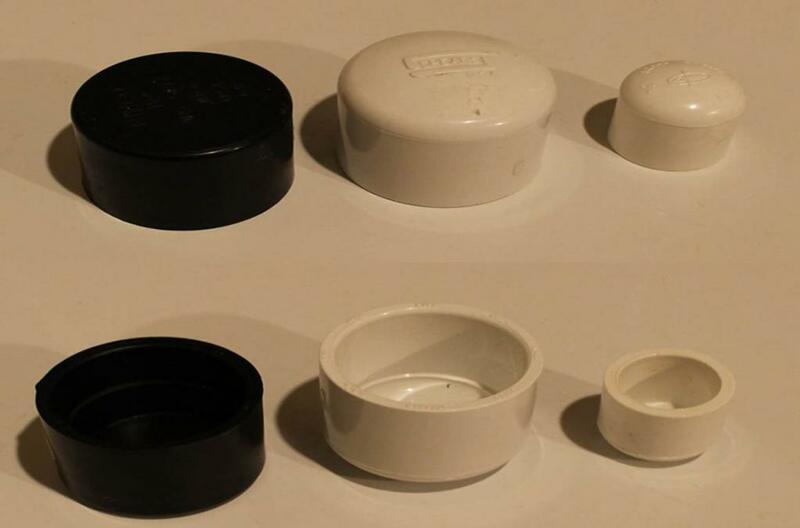 It is a very common product to find in most hardware stores and plumbing supply stores and is most commonly found in solid white color. 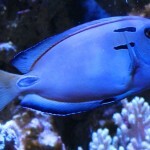 PVC would be about the most common product to find being used on sumped aquarium set-ups due to the fact it can be used for a drain or return line in almost any type of set-up.This too would be my preferred product for drain and return lines for higher and lower flow set-ups.It is about the best product to use for a peace of mind. PVC SCH 40 specifications are listed in the below chart. This is just a heavy duty version of PVC SCH 40. It is a little harder to find as compared the PVC SCH 40. As this product is more commonly used in commercial applications with higher pressure and lower temperatures conditions exist. This type of PVC is commonly found in a darker gray color. It can be somewhat hard to find in most hardware stores.Typically you might need to go to a plumbing store to find a good selection of PVC SCH 80 pipe and fittings.This also is a lot more expensive than PVC SCH 40.In the aquarium hobby, you would use this product in very high flow applications that would also have higher pressures as well. You will find some of the specifications for PVC SCH 80 in the below chart. This product is very similar to PVC SCH 40 but is indented to be used in moderate and high heat applications. It is most commonly found in a lighter gray color very similar to PVC DWV. Typically you would see this being used on hot water supply lines and some drainage applications.In the aquarium hobby you can use this product just as you would PVC, however, it will cost you a little more to do it. The below chart has some of the specifications for CPVC. 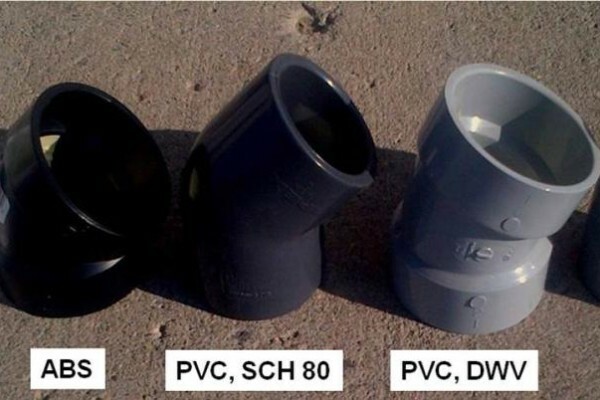 This product is very similar to PVC SCH 80 but will be able to withstand higher temperature ranges at the higher pressure levels.This product is most commonly used as hot water supply lines in commercial applications.I cannot imagine a set-up that would have high levels of heat and pressure requiring this product.You can use CPVC SCH 80 on a drain line or return line of a sumped marine aquarium, but it will cost you more money to use this product. The below charts shows some product specifications for extra heavy CPVC. 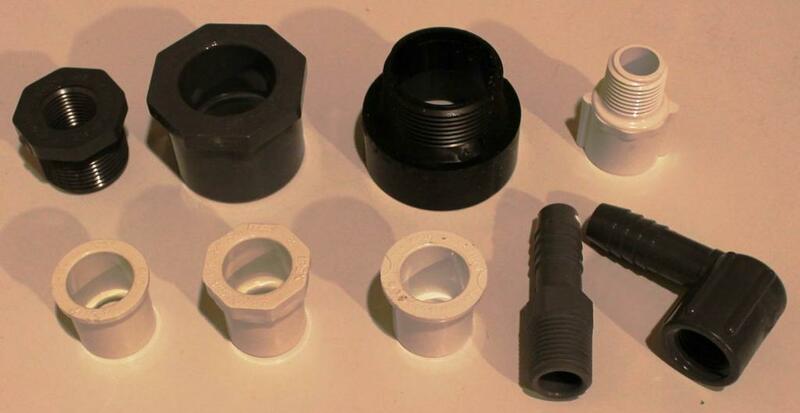 There are a seemingly endless number of different types of fittings, each with their purpose. However, all of the fittings can be placed into one of the below 8 categories. 5) Elbows. Just as the name suggests, they are to change the direct of the pipe in a range of angles from 22 degrees to 90 degrees. You can also get them in combinations of threaded/solvent end and male/female ends as well. 6) Flanges. 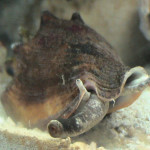 These are commonly used to connect pipe to a flat surface such as the glass of a aquarium or sump, or a larger valve. 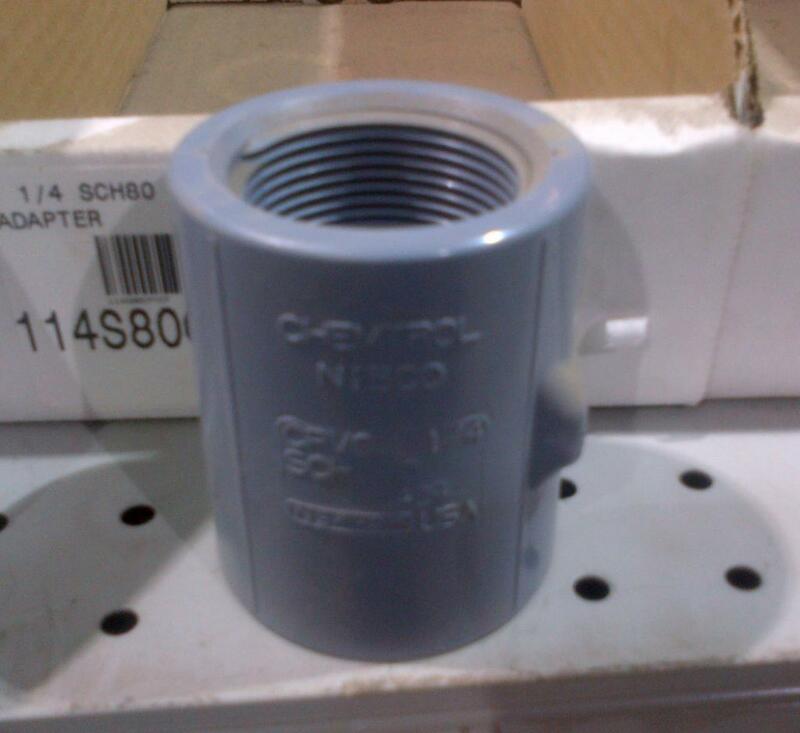 These too will come in combinations of threaded and solvent applications and may also be left or right hand threaded. 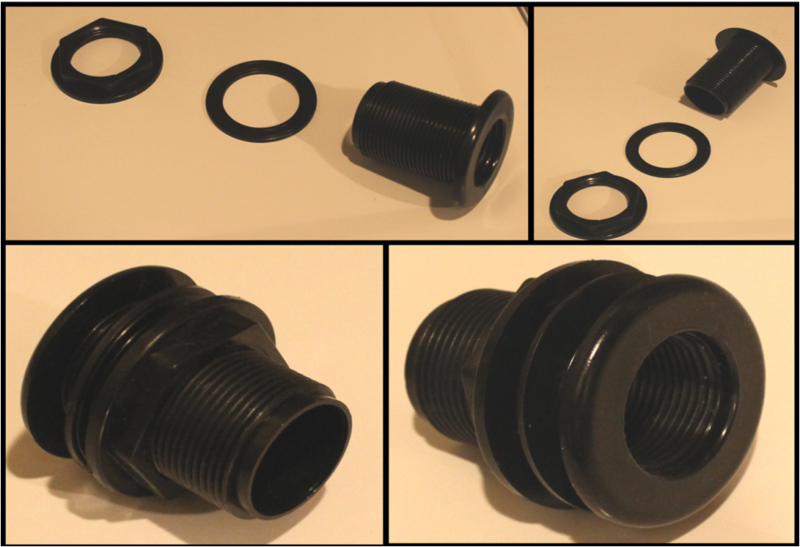 When using screwed fittings, it is always best to use a Teflon thread tape. This non-adhesive tape will fill in any potential gaps between the threads allowing the threaded connection to remain water tight and avoid any leaks. There are many different types of thread tape, each designed to be used with different types of materials and different applications. The most common type of thread tape that can be used in all the above listed materials will commonly be white in color and will be the most commonly found thread tape in just about any hardware store. This tape is also safe for aquarium use. When using solvents to “glue” fittings and pipe together, please keep in mind there is a specific solvent designed to be used with each of the different material types listed above. Make sure to double check and ensure you are using the correct solvent for the type of material you are using. Using the wrong solvent can result in the joint developing a leak or even failing over time. As you may have noticed, all of the outside dimensions of the pipe listed about are all the same (as detailed in the applicable ASTM and CSA standards). If you choose to use combination of different material types you must ensure you are using the correct type of transition solvent designed to be used with both of types of materials. You can commonly find ABS/PVC DVW and PVC/CPVC transition solvents as well as a few other combinations. If you cannot find a transition solvent for both of the material types that you want to use, then you must assume you cannot use them together. When using two different material types, plan your set-up around the lower of the two specifications for the materials you are using. 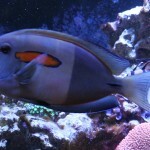 You can find a lot of other different plumbing products made of many different types of material, such as: Aqua-rise, Corzan PVC, Duraplas ABS, Aquatherm, and XFR PVC.Each of these have very specific uses which make them (in my opinion) not suitable for use in a sumped aquarium from a cost point of view.There are also companies that are starting to develop and market their own pipe products for use in the hobby.The below link shows an example of this.These manufactures state these products are PVC SCH 40 and can be used with regular PVC SCH 40 fittings.I cannot verify if these new products are in fact manufactured up to ASTM or CSA standards so I cannot validate the specifications these products are manufactured to. 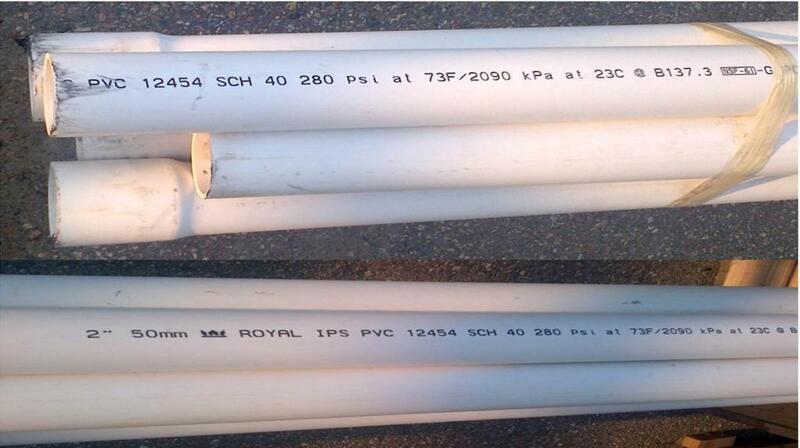 If you are using 1 1/2 inch piping, using SCH40 will be fine for 4,500 GPH (before head loss). 1 1/2 PVC SCH40 can handle as much as 7,460 GPH. Awesome thanks Cliff! my drain lines are 2in bulkheads and the 4 returns are 1 1/2 so that will do then! By the way your write ups are great! I’ve read most of them and am applying most of your knowledge to this 300 gallon build! I have another quest also, my sump will be setup where it DT drains into skimmer chamber then goes through bubble trap and into return chamber and the fuge will be on opposite side of the sump and also drain into the return chamber. my question is you mentioned in one of your write ups that i cannot tee off from a vertical drain line into the fuge because the water would not flow to the fuge most likely, how do you recommend i plumb the pvc to the fuge off the drain line? You could try using a fitting the is in the shape of a “Y” instead of a fitting that is shaped like a “T”. Then by using ball valves on each line after the “Y” fitting you can divert the flow to meet the flow rate needs of your refugium. I personally do not like this approach but many people certainly have made it work and it would be worth a try. 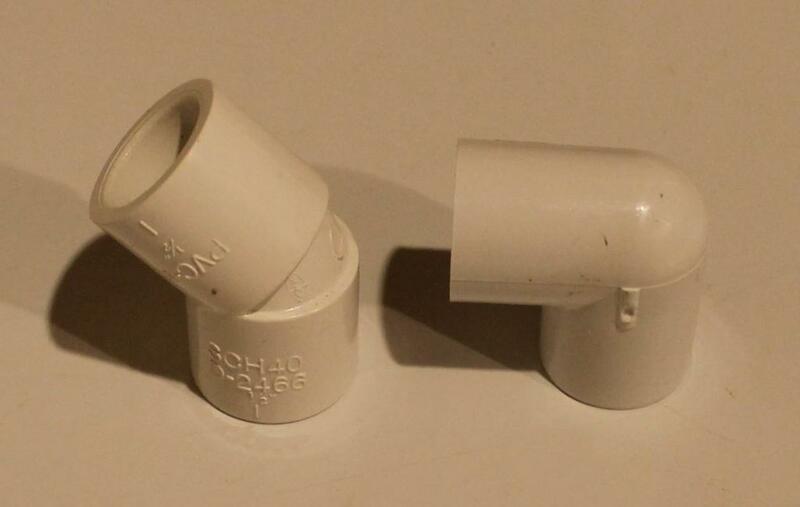 The “Y” fittings are very hard to find in PVC SCH40 or even PVC SCH 80. 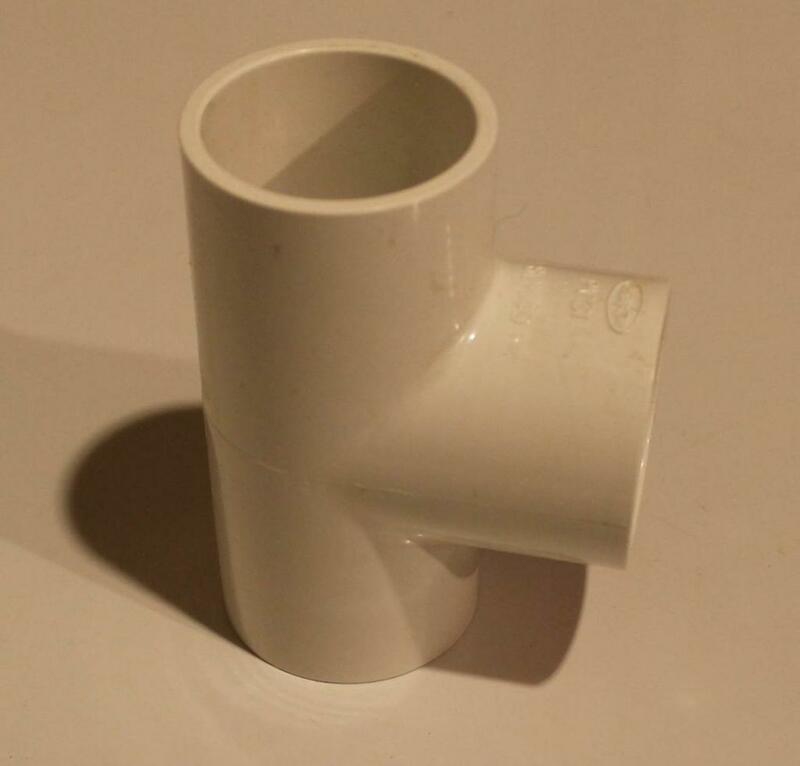 You may have to use a PVCDWV fitting (PVC Drain Waste Vent) or maybe even ABS, but that would not be a problem on your drain line, just don’t use one of these fitting on your return line. If your skimmer is in the first section of the sump that your drain line empties into, then I would also suggest using a filter sock on the end of the drain line. That way you will prevent micro bubbles and other crud from getting sucked into your skimmer and causing problems. 20ft lengths would typically have to be purchased at a wholesaler. As a customer without a account, this would be more costly as compared to buying shorter lengths at a large chain hardware store like Home Depot or Lowes. I would guess for a 20 length of PVC SCH 80 pipe, you would be looking at around $3.00 per foot in the city that I live in. 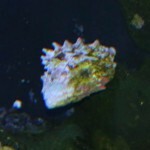 Hi Cliff , I just bought a used 160 gallon reef tank . Included in my purchase of the tank the previous owner gave me a 10′ length of 1″ Clear hard PVC piping to replace the white drain and return lines that are visible in the tank . 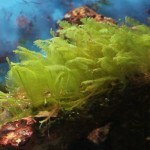 Is the clear safe to use in a saltwater tank ? 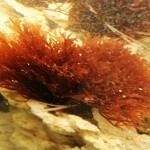 Could there be different chemicals in the clear that might not make it safe ? Thanks for your help and thoughts . Chris .